Welcome to the Technology WikiProject. This is a group dedicated to improving BattleTechWiki's coverage of equipment and technology. Feel free to join in by adding your name to the group, grabbing an article to complete or weighing in on the discussion. Edit articles for conciseness and readability using. Clean up the general organization of the Technology page and its sub-pages. 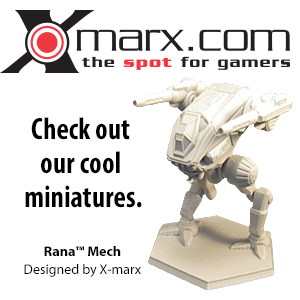 All pieces of equipment and pieces of technology used in the BattleTech universe. Clean up categorization of technological items, especially adding "Technology" category tag to pretty much anything that would be considered a discrete technology. The category page Technology is the general umbrella start point. Finish the Jump Jet article tree to establish a standard for other technology types. Tag all weapon equipment and technology pages. generate list of needed articles. Of prime interest to PT is the stuff that goes into making other units. Things like the weapons and components that go into Mech' design along with small equipment such as infantry weapons and personal equipment. While completed designs are of interest to PT, they are secondary, primarily being the end product that the technology gets put into. Link everything, at least once. If the term is Star League, link to it. If House Marik is referenced in the text, link to it. Link to other unit types, like DropShips. If the same term is used a lot, especially in the same paragraph, please link only once. But link, even if the linked article does not yet exist: it will someday! Add any date information and make sure it has a link associated. This makes updating the timeline and associated year articles much easier. Edit for mis-spellings, grammatical and formatting mistakes for current articles. Place the Project Technology message box (see Tags below) on each article's discussion page. Create needed pages. See New Articles Needed below for some examples. Please feel free to add yourself here, and to indicate any areas of particular interest. Doneve: Copyeditor and Fact Checker. L Richardson: Adding entries, writing fluff. AdmiralObvious: Keeping the wiki up to date with new publications where possible, grammar checks, addition of CBT rules where possible. Note: Editors, please remove the article from the list once you have weighed in. Please add new articles to the list from the bottom. Please add articles that need to be written. Anybody may request an article be written. See Template:WikiProject Technology for instructions on how to both flag new articles for review, and flag that you have reviewed them. If you wish to review new articles, a listing may be found in the New articles needing to be reviewed tracking category. See Template:WikiProject Technology for instructions on how to both flag articles for peer review, and flag that you have reviewed them. If you wish to peer review articles, a listing may be found in the Articles needing to be peer reviewed tracking category. Add an article that you would like to see graded by a Project:Ground Units team member. 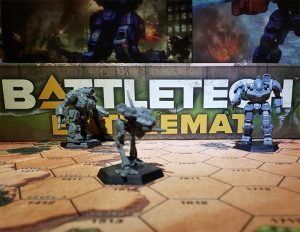 This article is within the scope of the Technology WikiProject, a collaborative effort to improve BattleTechWiki's coverage of BattleTech technology and equipment. If you would like to participate, you can visit the project page, where you can join the project and see a list of open tasks. This page was last edited on 15 December 2018, at 19:23.